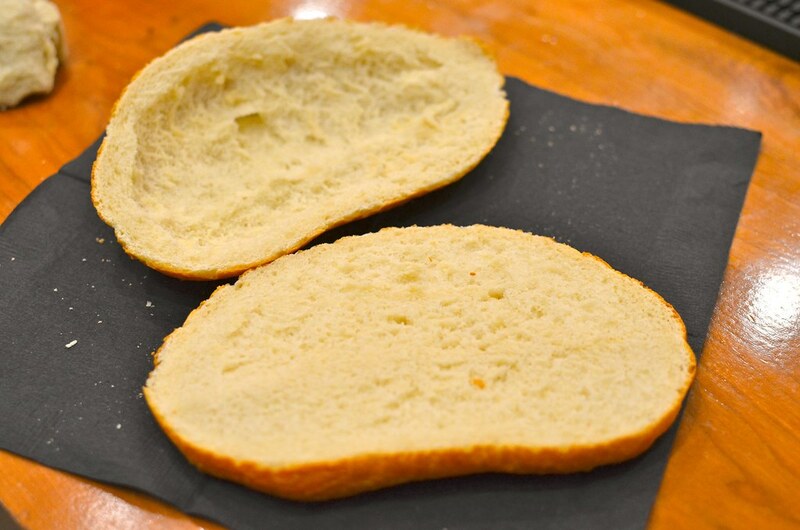 The torta bread, called talera, took 2 years of testing in and of itself. 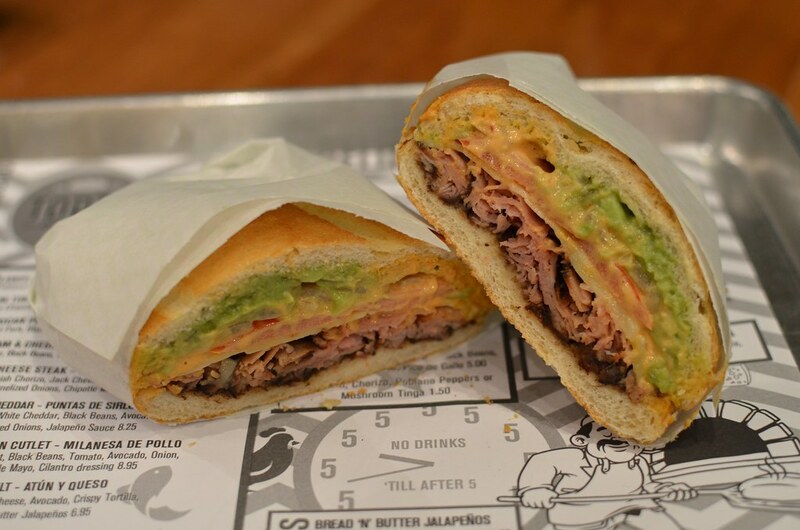 While many of the breads are a testament to the French influence on Mexican culture, Andy and Jimmy’s in-house pan francés are an excellent, customized framework for the delicious ingredients in each variety of tortas at Torta Company. Their exhaustive testing and perfecting was well worth it, with just the perfect amount of crunchiness on the outside and tiny bit of sponginess on the inside. In fact, before piling on the Torta ingredients, they scoop out the inside of the top layer of bread so the ratio is just perfect. I’ve been overwhelmed many a time with unwieldy bread that just compromises a sandwich’s composition and integrity, whether being too soggy or too hard and crunchy. 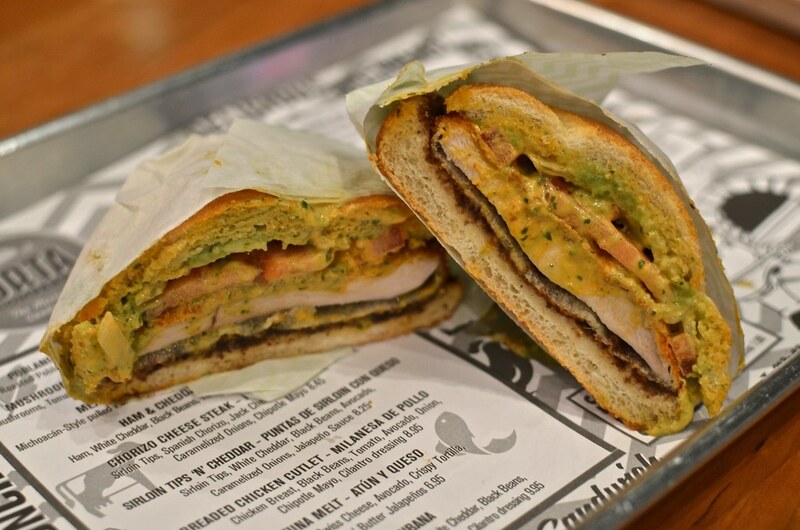 But the quality of ingredients, in addition to the bread, really puts these Tortas over the top. They’ve got breakfast tortas, mostly with eggs, available all day, but the varieties I tried were classic lunch and dinner choices. Vegetarians and omnivores alike will enjoy two Torta varieties with Oaxacan cheese, Mushroom Tinga and Poblanos and Oaxacan cheese. The Pierna Adobada (Michoacán-style Pulled Pork) and the Milenesa de Pollo were my favorite meat varieties, with beans being an important layer in each. But the Jamon y Queso (Ham and Cheese) and Atun y Queso (Tuna Melt) were also pretty delightful, with the latter including a layer of tostada for a little bit of crunch as well as sweetened and pickled jalapeños, to mimic the pickles you’d often find in, well, an American tuna melt. 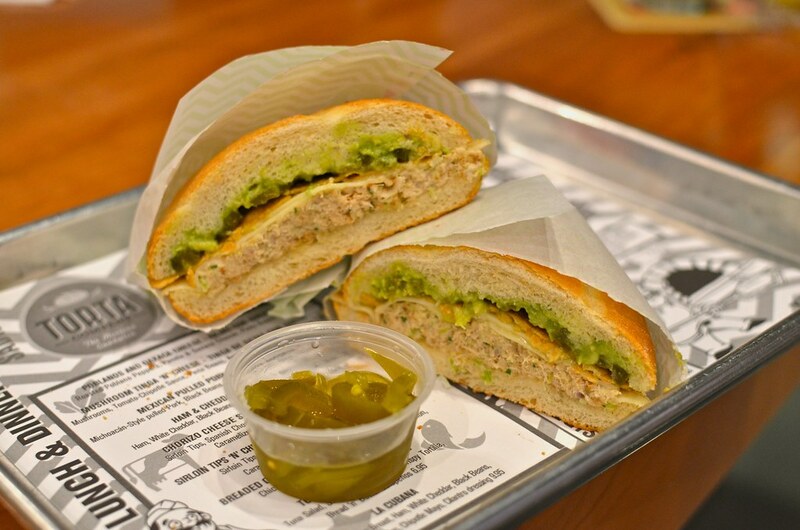 So head on over to FIGat7th for some excellent Tortas, no matter what time of day. You’ll be surprised by just how good a sandwich can be. This entry was posted in Downtown LA, Food, L.A., lunch and tagged Andy Shaw, bolillo, bread, Downtown LA, DTLA, Figat7th, Jimmy Shaw, sandwiches, Telera, torta, Torta Company. Bookmark the permalink.